Colleagues, interestingly, when I first pitched the idea of a regular blog from the NHSA engine room to our Head of External Affairs, Hannah Davies, it was to give the reader the view point from my desk and what takes place in support of our staff and their programmes. Perhaps I spoke too soon? The last couple of weeks have found me uncharacteristically elusive. For all the right reasons I hasten to add! Those of you who work in close liaison with me know that I am usually quick to respond to emails and communications and so having to trigger an ‘I’m away from my desk’ auto-responder message for days on end signified the level of activity I have been engaged in of late. Importantly, I ended my last piece with the news that we were about to welcome a new colleague on work experience placement. Ms Laraib Bahadur recently completed her MSc in Skin Science and Regenerative Medicine at Bradford and following her graduation, Laraib applied for a work experience placement opportunity, writing to us for an opportunity “to continue to pursue my passion for implementing taught scientific knowledge into directly improving life science and healthcare systems, valuing the NHSA’s unique dedication to supporting healthcare industries and scientific research within the North as incredibly inspirational to a science graduate like myself.” We are delighted to have Laraib with us for the next six-weeks, and we hope to get an opportunity to introduce you to her. So, what’s also kept me so busy that I’ve required the assistance of auto-responder to manage comms traffic? I’m still having lots of conversations with commercial and industry colleagues to further populate the sector deal for the North ‘road map’ that I wrote about in my last piece and it’s still not too late to add your name to the ‘ledger’ of investment, for us to present to OLS in the Spring, so do get in touch. I also had the pleasure this week of attending the Health Partnership Group, hosted by Lancaster University’s Health Engagement and Innovation team and chaired by Lancaster University’s Associate Dean for Engagement and Innovation, Professor John Goodacre. John and his team convene The Health Partnership Group to provide a valuable mechanism to bring together like-minded colleagues from academia, public sector, local authority, industry and third sector. I was invited, along with my NHSA colleague, Shirley Hannan (Research Partnerships Manager), to present an overview of the objectives of the NHSA and provide a real time update on current opportunities for involvement and engagement. 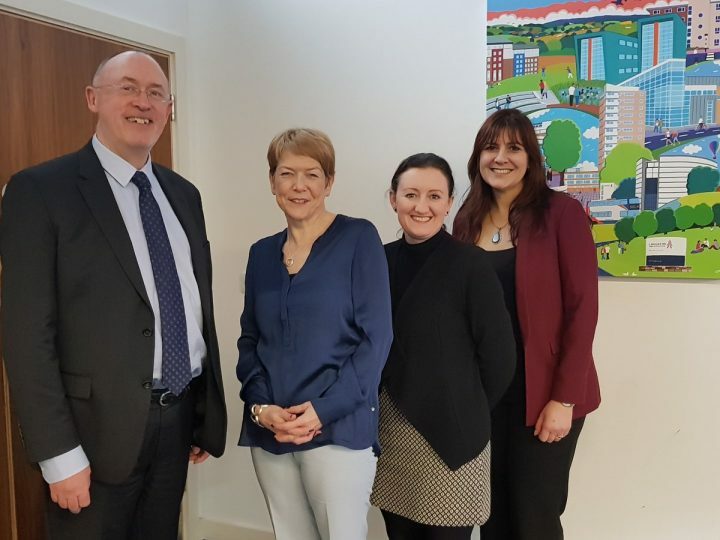 It also gave me opportunity to re-connect with colleagues from Blackburn with Darwen Public Health team to hear updates on their work in a variety of public health initiatives and to meet new ones. I was particularly inspired by Dr Andy Knox, a GP from Morecambe Bay CCG, who is leading on health improvement and the power of a community approach to improvements in health and well-being. This week I am speaking at, and moderating a panel at, AgeingFit 2018 in Nice, France. This is the first European business convention dedicated to innovation in the healthy ageing sector. As you are no doubt aware, one of the NHSA’s prime capabilities is in active and healthy ageing. Do get in touch if you would like to hear more about any of what I have been up to, but for now, at least, my auto-responder remains on, and I expect ‘normal service’ to resume from the end of next week, when I shall be back at my desk. Bye for now.